Staff and residents at a Bupa care home in Poole, Dorset are celebrating after being rated Outstanding by the CQC. 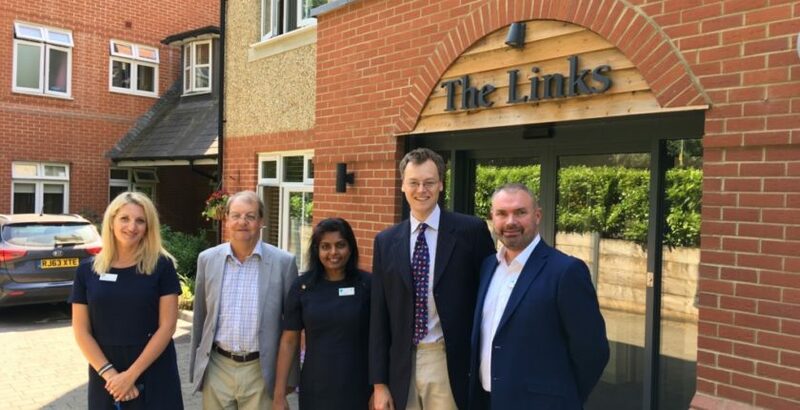 The Links joins the top 3% of adult social care services with the CQC’s highest rating following an inspection in June. Staff at the home were praised for providing “exceptional care” and “going the extra mile to ensure people continued to live fulfilling, happy lives”. The report celebrates employees for tailoring care around residents’ individual needs, preferences and histories. For example, colleagues supported a former WWII RAF pilot, so that he could attend the wreath laying ceremony and church service on Remembrance Sunday. Because of this, the resident “had not been able to stop smiling for the rest of the day”. Inspectors praised the leadership at the home, citing how it had a positive impact on colleagues at all levels. In one instance they noted how all team members had received dementia training, including those from housekeeping and catering, so that they could provide better support to people as they were undertaking their duties. In addition to its person-centred care, the home was complimented for its meaningful and interesting activities, including a visit from an animal handler who introduced residents to exotic and unusual creatures.